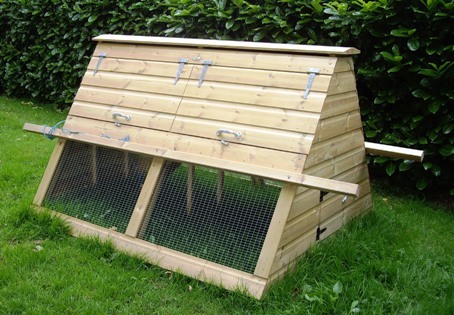 Traditional Design Poultry Ark with attractive and practical features. Hand-crafted on site using pressure treated timber. A Luxurious Poultry Ark and the largest in this range. High quality pressure treated timber built, two tier poultry ark. 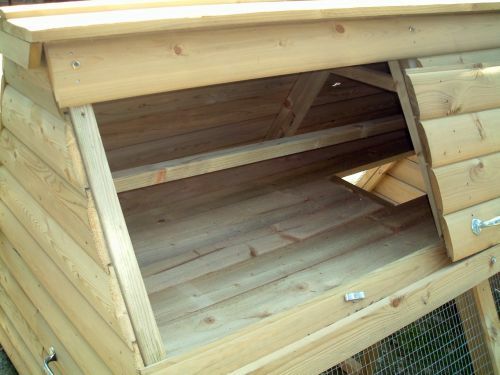 The Penthouse has a removable nest box and the run features a drawstring ladder for easy access for your birds. There are handles either side of the coop for easy movement to new pastures. 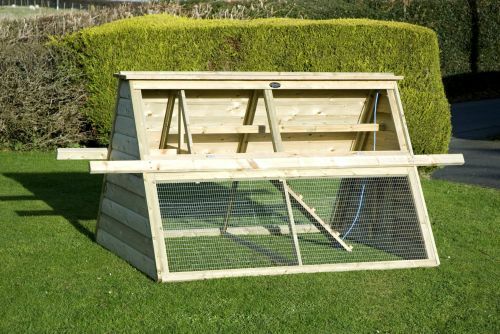 This large framed ark provides an effective use of area for your birds. Having a covered run is an advantage thus providing your hens good protection from our varied British climate. Offering shade from heat, dry from rain and protection from predators too. The design also allows the birds to use their natural instincts by allowing them to go up the drawstring ladder and roost at night also providing added security and protection from any predators. The inside of the ark provides an optimum area with nest boxes and roosting perch. There are side doors for easy access both for cleaning the ark and for egg collection. There is a small hatch at the bottom of the ark to enable your hens to free roam in your garden if you should wish them to do so. Hens with plenty of activity are happy hens. A further advantage of the Penthouse is its carrying handles, enabling you to move the ark to fresh pastures. This item is made to order so please allow around 10 days for completion. Once purchased, the Penthouse can be either be collected, or delivered via our onsite carpenter.